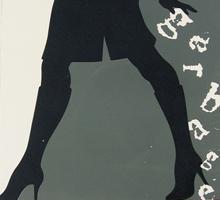 Garbage hand silkscreen printed poster. 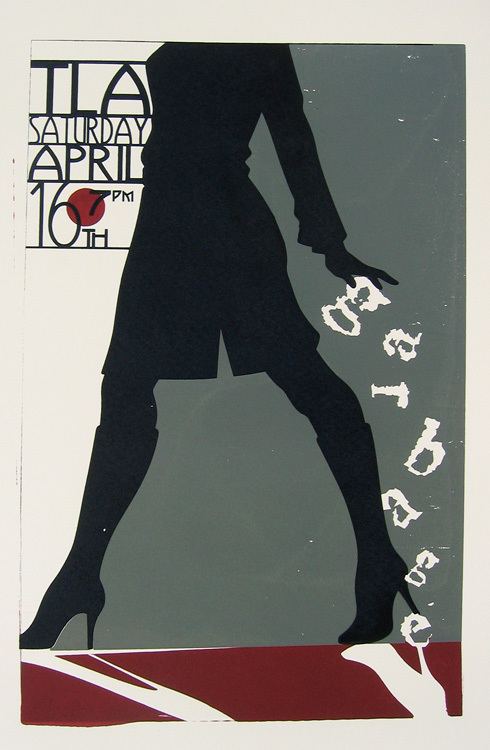 Hand screen printed poster for Garbage’s show on April 16, 2005 at The Theatre of the Living Arts, Philadelphia, PA. This was my very first gigposter. The one that started them all! 3-color screen print, edition of 40. Size 11″ x 17″. Paper: Stonehenge 90 lb Cream, Natural, & White.